New LoRa radio modules and a range of off-the-shelf products will be demonstrated by RF Solutions at Southern Manufacturing and Electronics. 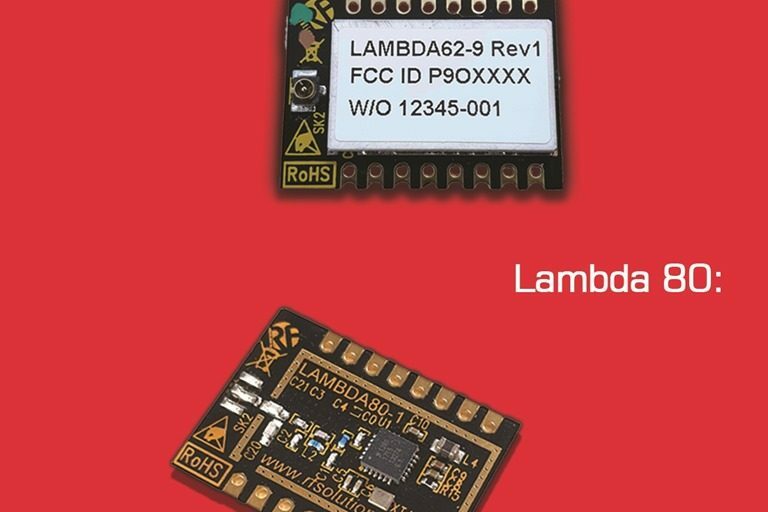 LoRa modules include the Lambda 62 RF module, an 868/915Mhz LoRa transceiver, described as a cost effective radio module which features the Semtech SX1262 LoRa providing a long range of +20km. Visitors will also see the Lambda 80, which is a long range LoRa RF module operating at 2.4GHz, the only world-wide Licence exempt fband. It features the Semtech SX1280 LoRa spread spectrum. These highly efficient, affordable modules enable new applications never previously realised, says the West Sussex-based company. The UK RF remote control and telemetry systems supplier has been manufacturing RF components and remote control systems for 25 years.